I told Lance when we crossed the border into Canada that I did not expect this part of our trip to be heavily food related. The focus of our time in PEI, after all, was everything Anne. The area we were staying in already ended its summer tourism season and dining options were scattered, many completely closed for the upcoming cold seasons. 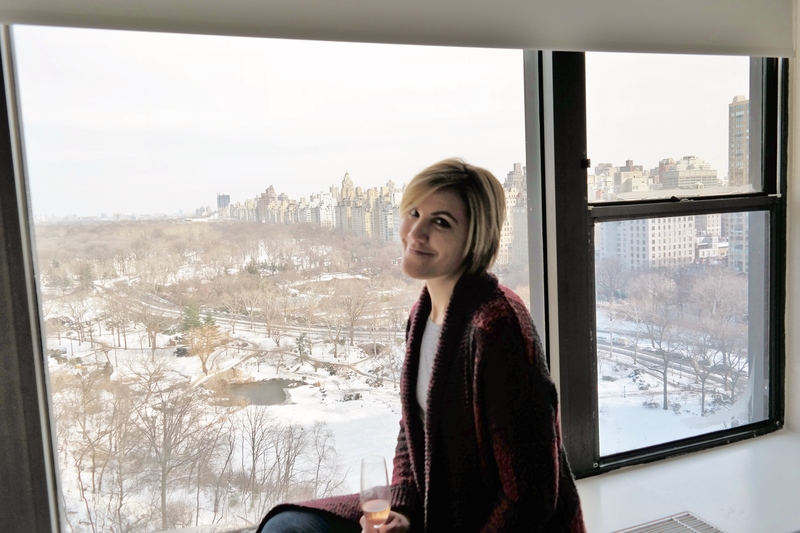 If we planned ahead, we might have utilized the full kitchen our villa was equipped with, but we neither prepared, nor wanted, to spend time cooking during our vacation. *I had to leave us with a reason to return, right? 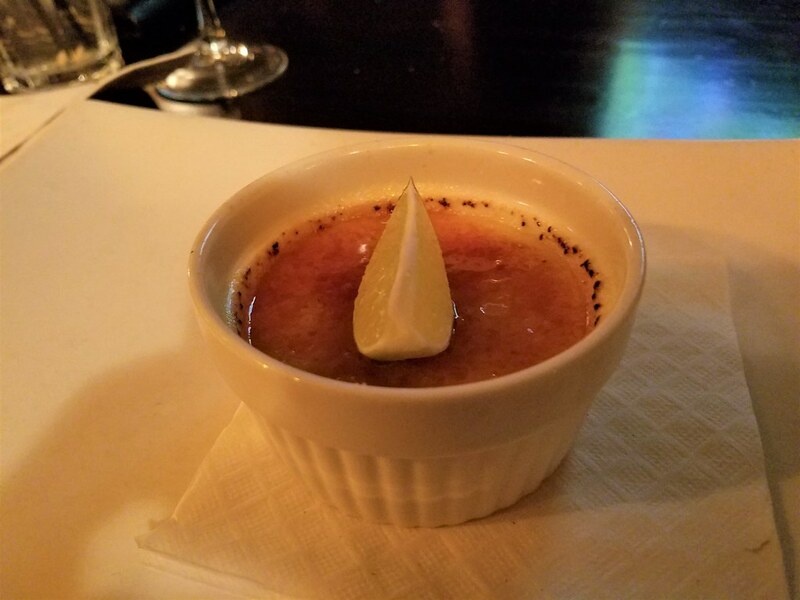 To my relief, we actually enjoyed several decent meals while on the island, but my favorite, the one that made me singing its praises to our waitress and anyone else who would listen, was The Gahan House. 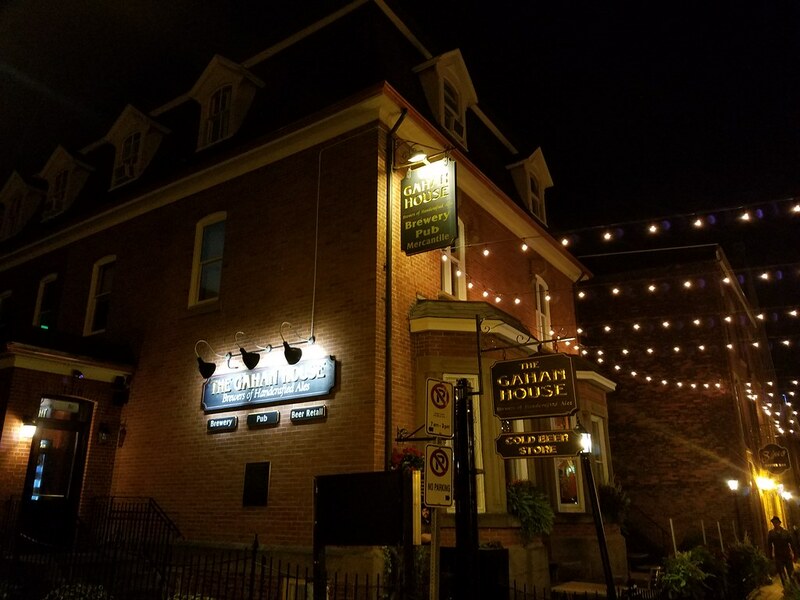 The Gahan House was one of only a handful of restaurants still open in Charlottetown after we attended a performance of the show, Anne & Gilbert. 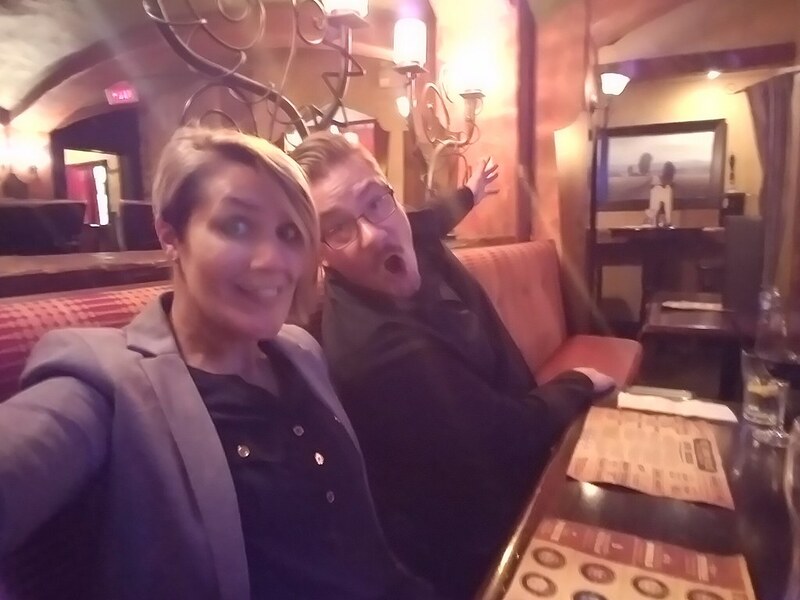 * Imagining that restaurants must stay open for the after dinner theater crowd, we curbed our appetite with coffee and planned on a late dinner. 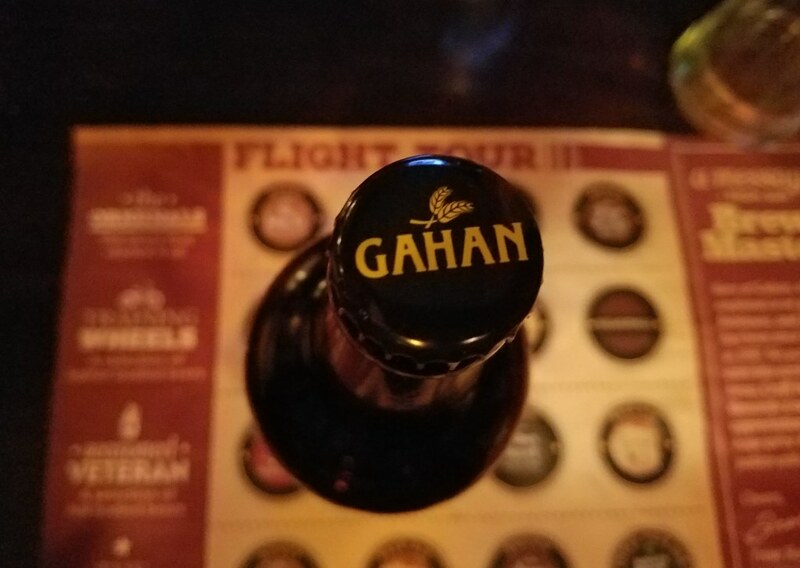 It took popping in and out of two other restaurants before we discovered Gahan open and ready for late night** service. We started with an order of Island potato chips. I figured that if Island potatoes were a big deal, we had to try them at least once. Loaded with green onion, bacon and cheddar cheese, and sides of sour cream and jalapeno mayo, these chips weren’t any ordinary bagged potato chips. They were crisp, seasoned to perfection, and the jalapeno mayo was a surprisingly nice touch. Lance went very basic and ordered their Clubhouse sandwich. The Fall Flavors prix fixe menu had me at first glance: Bacon Scallops to start, Maple Glazed Cornish Hen* for the main course, and Fried Apple Pie for dessert. *Yes, it was amazing as it sounds. We were so hungry I didn’t come to my senses to take pictures until dessert time. Canned hard cider–not only did they have my favorite (Magners pear cider) but it was in a can. I got far too excited over this. Instead of wrapping my bacon scallops with bacon, there was a thick square of bacon underneath each scallop. Friends, this is a game changer. This prevents the soggy bacon issue that bacon wrapped scallops almost always tend to have. 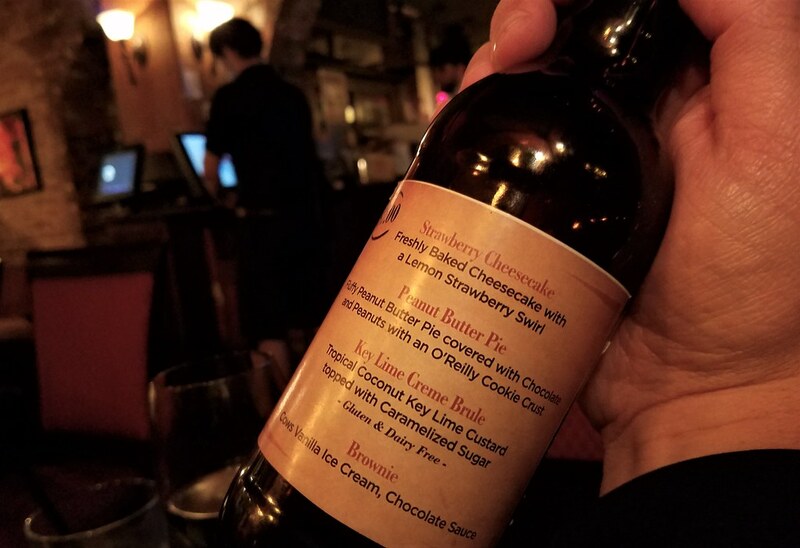 Their dessert menu is on a beer bottle. How stinking cute is that? 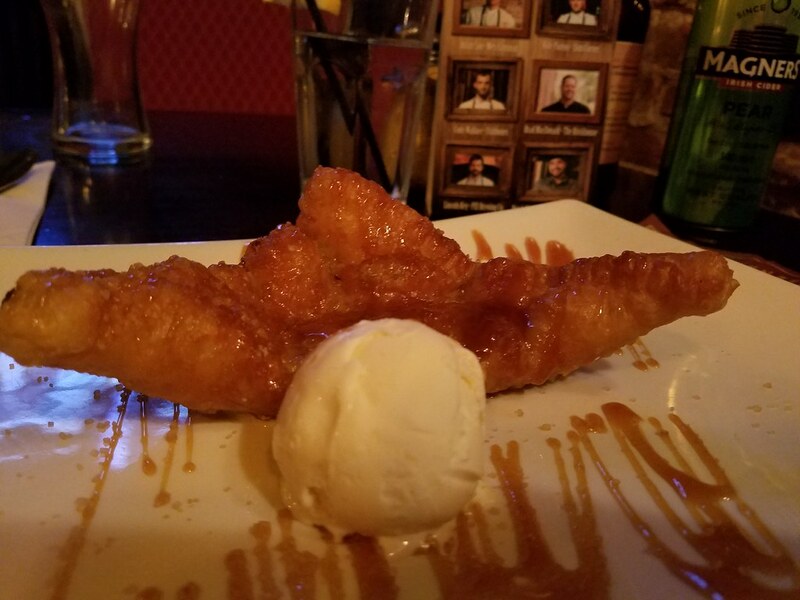 And my fried apple pie had me thinking of home. It was a warm, crisp, sweet, all-American dish that after last bite I seriously contemplated asking for more. 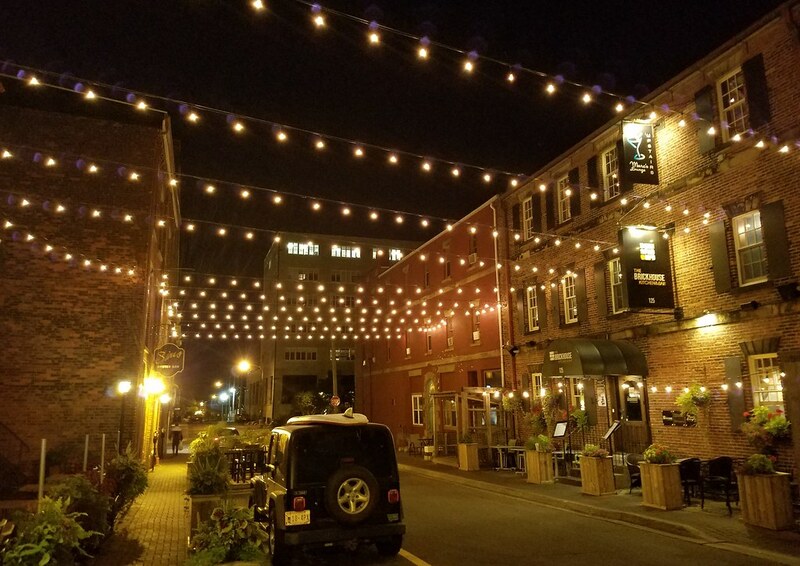 There are a few restaurants in Charlottetown that are overpriced for what they’re serving up. We learned this from a local shop owner who specifically referenced a few overpriced steak places that we should avoid. Thankfully, The Gahan House not only served an exceptional meal, but it was at a price comparable with any other meal of the same nature.